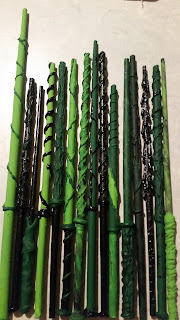 As an avid Harry Potter fan i had a brilliant idea i would try to make my own wand! severely lacking on skills and knowledge of wood working i turned to the one thing i knew i could work very well paper and good old hot glue. 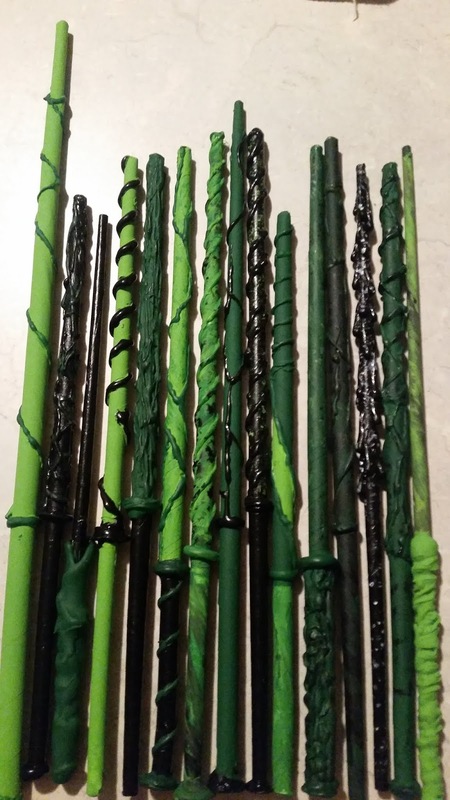 It took a lot of trial and error but I finally came up with the wands seen above. making sure to keep a tight roll when rolling the paper was key for me to have them keep a good shape and filling the ends with hot glue also helped in that area. Experimenting with different styles of handles designs was exiting and lots of fun! I plan on making many many more of these.